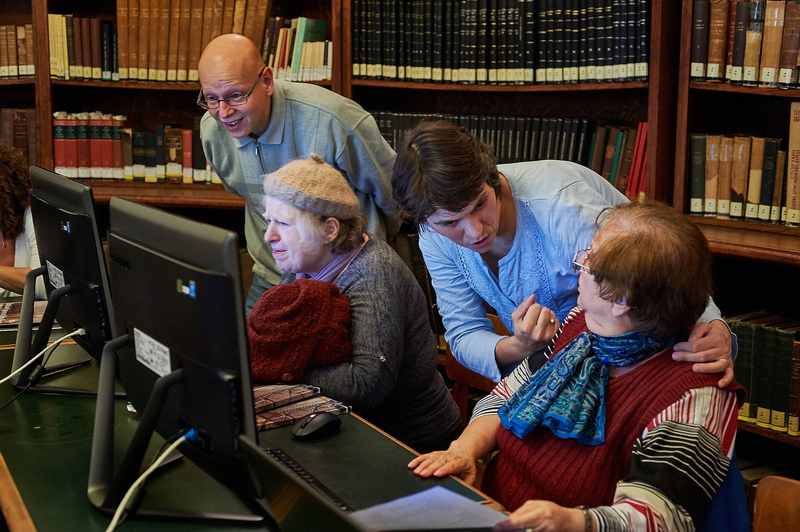 Budapest’s Eötvos Loránd University (ELTE) offered its first-ever sign language seminar for hearing-impaired patrons on USC Shoah Foundation and the Visual History Archive on Oct. 6 at the university’s Central Library. 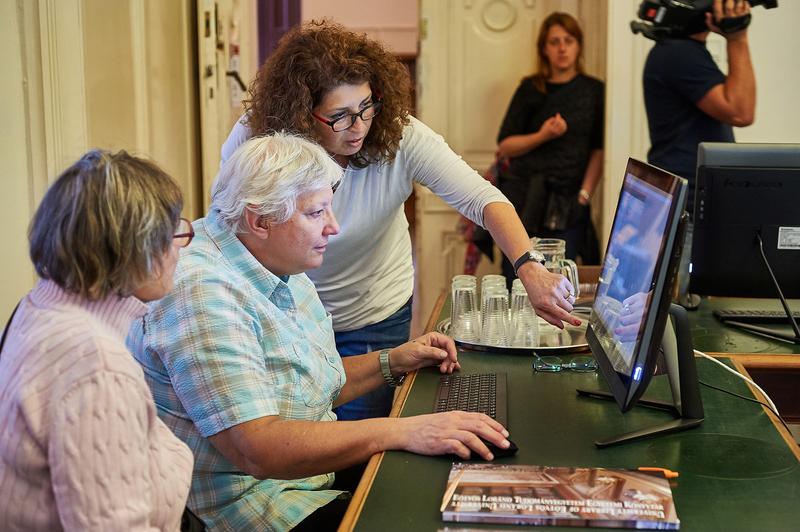 The seminar was led by ELTE librarian Borbála Franyó, who is deaf and a sign language interpreter. 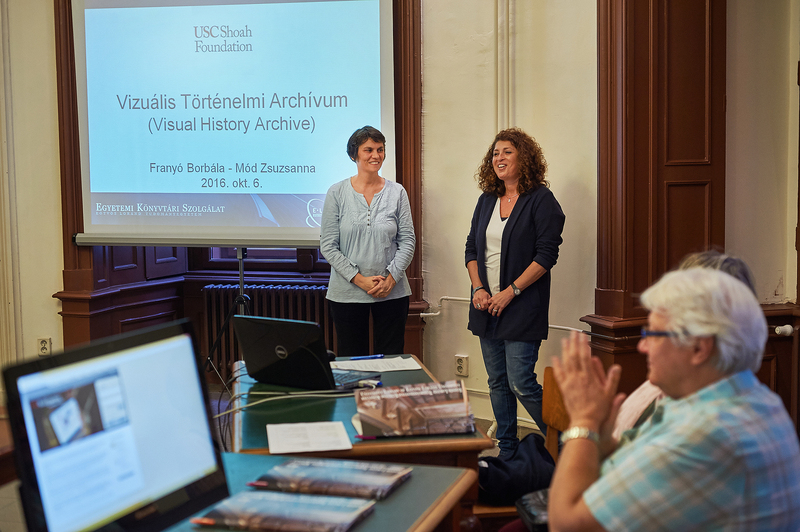 She has been interested in conducting a seminar on the Visual History Archive in sign language since the study room in the ELTE Central Library became a full access site of the Visual History Archive in June 2016. She has also met Holocaust survivors through the Association of Hearing Impaired Jewish People (MHZSE). 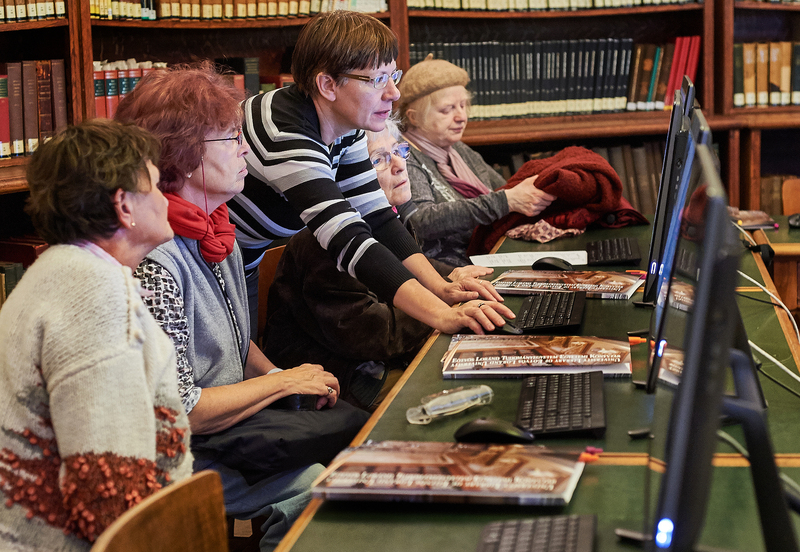 Franyó based her presentation on the initial training on the VHA that ELTE library staff received from Central European University librarian Peter Berczi, including an overview of USC Shoah Foundation and a hands-on demonstration of the various search functions and testimonies in the VHA. In her research in the Visual History Archive so far, Franyó has found the testimony of Miklós Klein, who was a founding member of MHZSE and speaks in sign language in part of his testimony. The archive also has several mentions of the Mexikó Street location that used to be the school for hearing impaired at the time. About 15 people, mostly elderly and all hearing impaired, attended the seminar. It was even recorded by a Hungarian television station and will be aired in the coming weeks. 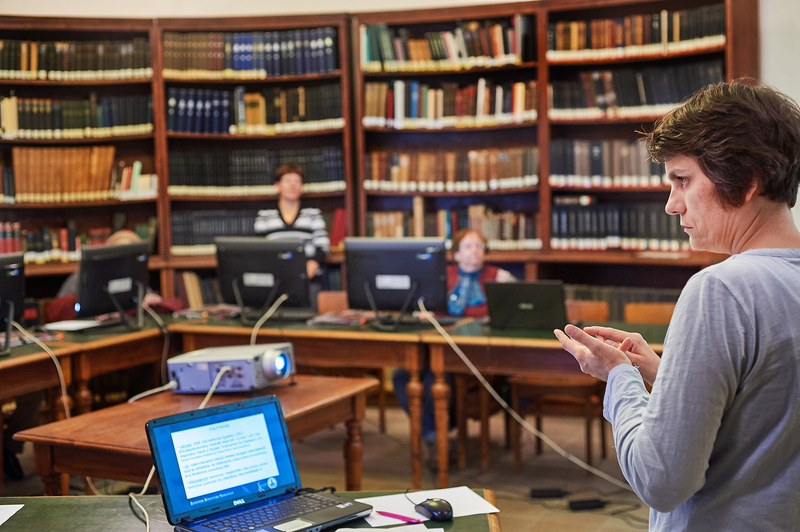 Franyó said members of the hearing impaired community appreciate educational programs that utilize their own forms of communication, including sign language, lip reading and projected content, so that they can fully participate and follow along. Unfortunately, many programs intended for the general public are difficult for them to follow. Even the testimonies themselves pose challenges. “Although our audience is prepared to lip read Hungarian speaking interviewees when they see them on the screen, they do not hear and understand the questions of the interviewer who does not appear on the screen,” Franyó said. 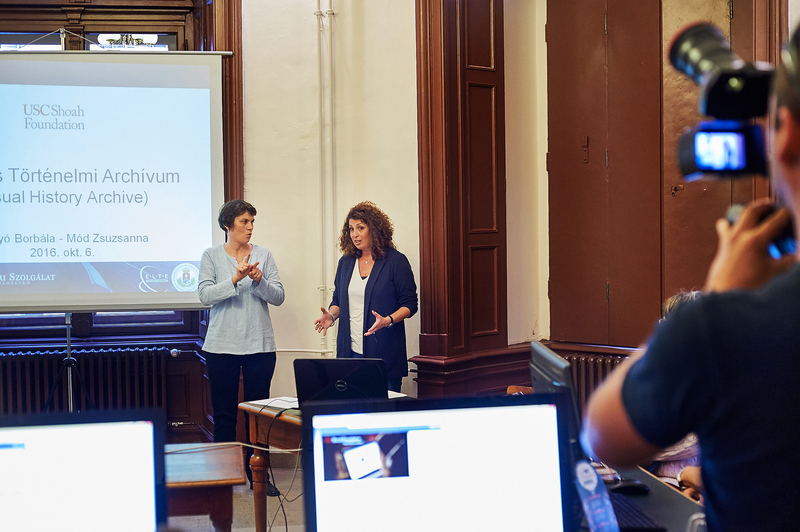 The seminar was well-received by those who attended, and Franyó said opportunities like this are important to offer to hearing impaired people throughout the world.